Judge Brett Kavanaugh speaks after being nominated by President Donald Trump to the U.S. Supreme Court in the East Room of the White House on July 9, 2018. President Donald Trump is seeking to add a well-known skeptic of the EPA’s authority to regulate greenhouse gases to the Supreme Court—but it may have minimal impact on climate policy in the near term. Brett Kavanaugh, who currently sits on the U.S. Court of Appeals for the District of Columbia Circuit, has frequently questioned whether the Environmental Protection Agency overstepped the bounds of its authority laid out by Congress in regulating greenhouse gas emissions from various sectors. In many EPA cases that have come before the D.C. Circuit, Kavanaugh has argued that Congress—and not the agency or the court—should be the government body dictating national climate policy. Kavanaugh’s skepticism of the EPA’s authority stems from his general tendency to question the administrative state and his narrow read of statutes, not an antipathy to environmental protections, Nathan Richardson, assistant professor of law at the University of South Carolina, told Bloomberg Environment. That isn’t likely to change if he is confirmed to the high court, but it also won’t immediately move the climate policy needle either. The justice Kavanaugh would succeed, Anthony Kennedy, was also typically a skeptic of agencies such as the EPA pushing the bounds of their statutory authority. But Kennedy was also the deciding vote in several key cases, most notably the Supreme Court’s 2007 decision in Massachusetts v. EPA that established a legal requirement for the agency to regulate greenhouse gases as an air pollutant under the Clean Air Act. It isn’t clear that Kavanaugh, were he on the high court then, would have aligned with Kennedy on that quintessential climate case, Jody Freeman, director of Harvard University’s Environmental and Energy Law Program, told Bloomberg Environment. But it also isn’t clear the Supreme Court’s decision in that lawsuit is in jeopardy of being overturned with Kavanaugh on the bench, she added. That is in part because the conservative-majority Supreme Court has other avenues to cabin the EPA’s regulatory authority in this space. “We’ve already seen the Supreme Court take steps to constrain the agency. It certainly has the power to do that in each and every regulatory case,” Freeman said. 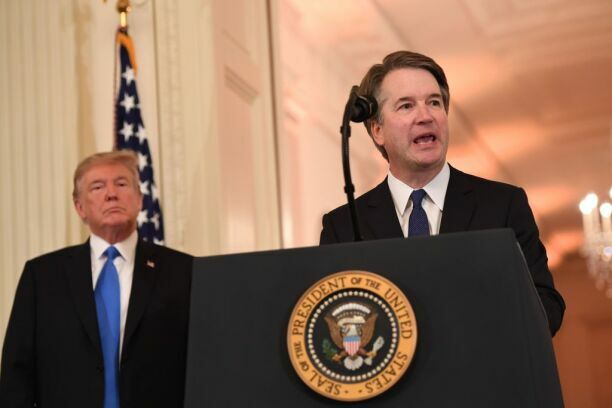 She added it’s likely Kavanaugh would operate in the manner of Chief Justice John Roberts, working incrementally in a way that limits regulation and keeps agencies in check but doesn’t target court precedent. Kavanaugh has demonstrated a preference to apply precedent previously even when he doesn’t agree with it. In 2013 litigation, he sided with environmentalists against the EPA, supported by several industry groups, that was attempting to carve out an exemption from the agency’s greenhouse gas permitting for biogenic carbon dioxide. The EPA’s broad interpretation was upheld previously by the court, Kavanaugh wrote in a concurring opinion. Nonetheless, it is conceivable a Supreme Court with Kavanaugh on it could narrow the scope of the Massachusetts v. EPA decision—and thus the agency’s greenhouse gas authority—should a case tee up the issue, Richardson said. He suggested that pending litigation against the Obama administration’s greenhouse gas limits for power plants, known as the Clean Power Plan, could ultimately serve as a venue to challenge the 2007 decision. Environmentalists and state supporters of climate regulation should want that case to go away, he said. But while Massachusetts v. EPA may be on a Republican administration’s hit list of cases to overturn, it probably isn’t a top priority, Richardson added.